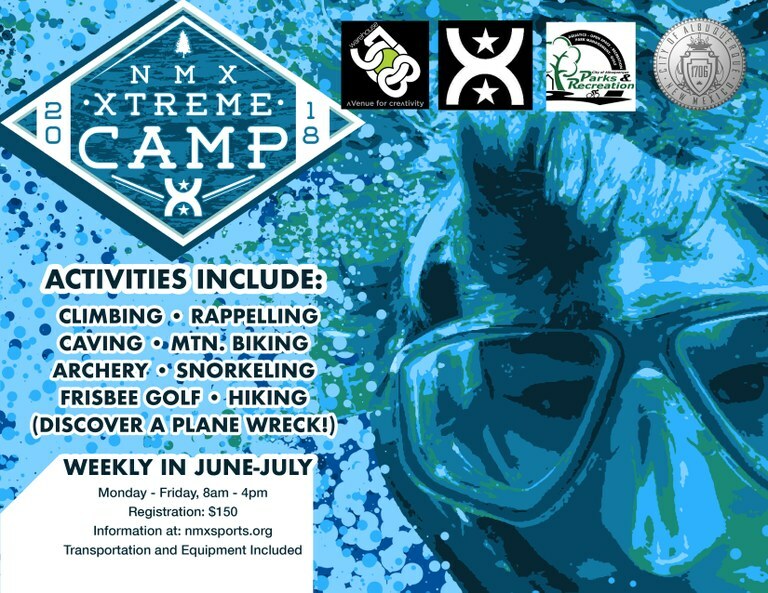 Information about extreme recreation programs offered by the City of Albuquerque. Extreme Recreation is a 5-day series that includes rock climbing, rappelling, caving, archery, snorkeling, frisbee golf, hiking and bicycling. All events usually take place at different sites throughout New Mexico. This adventure is for youth ages of 11 through 17. Each day includes chaperones, transportation and any gear necessary to enjoy the adventure. Participants are required to bring their own lunch. Please contact (505) 768-5328 or NMX at (505) 296-2738 for information or assistance.